These new (I think) kits showed up a couple weeks ago in my local store, and I was intrigued, but not sick, so I filed that info to the back of my mind and went on with my life. Fast forward to a week or so ago, and I got pretty sick, third day in, I was done and went to go get this kit! 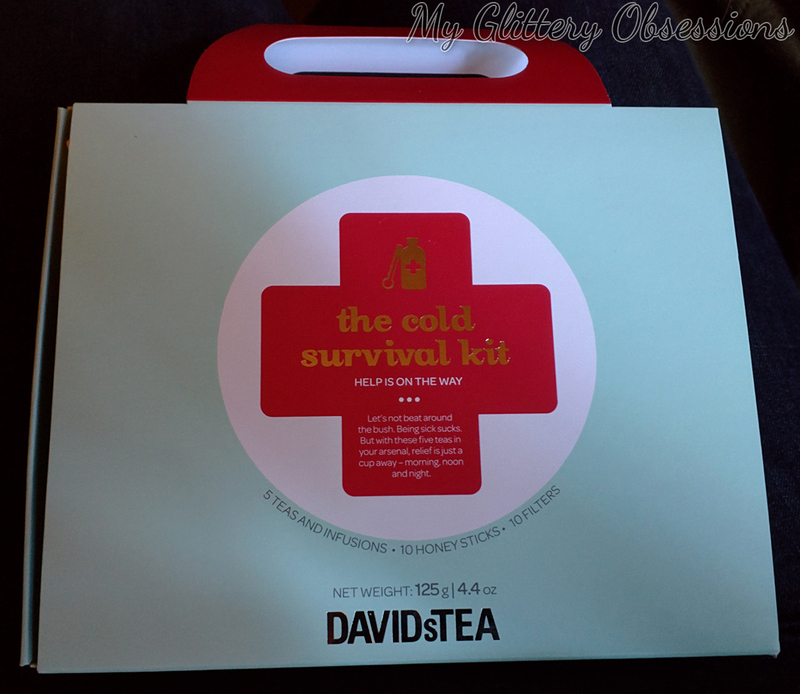 For $25 (at least here in Canada), this kit comes with 25g each of 5 different teas meant to soothe or fix various aspects of having a cold, like energy, sore throats, etc. 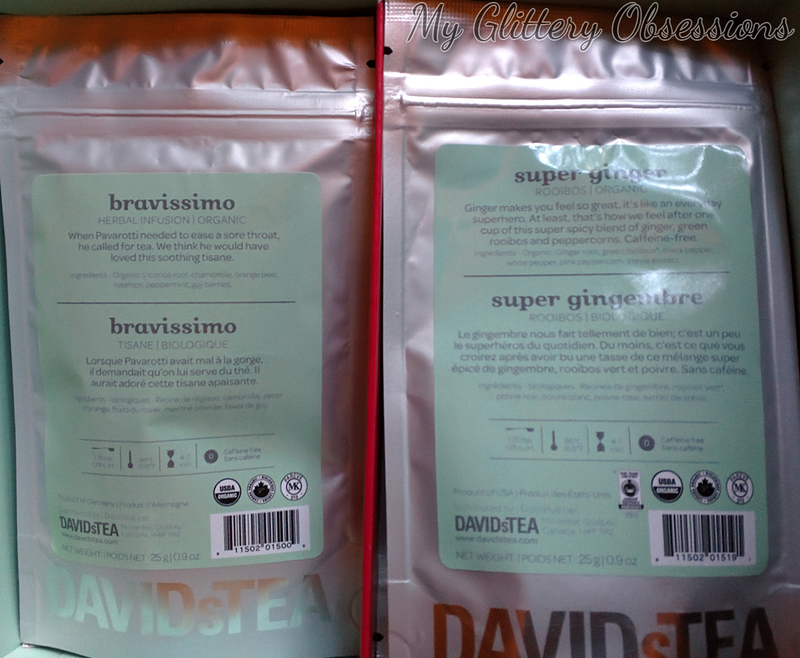 Many of the teas are caffeine-free, and the two with are very low levels. 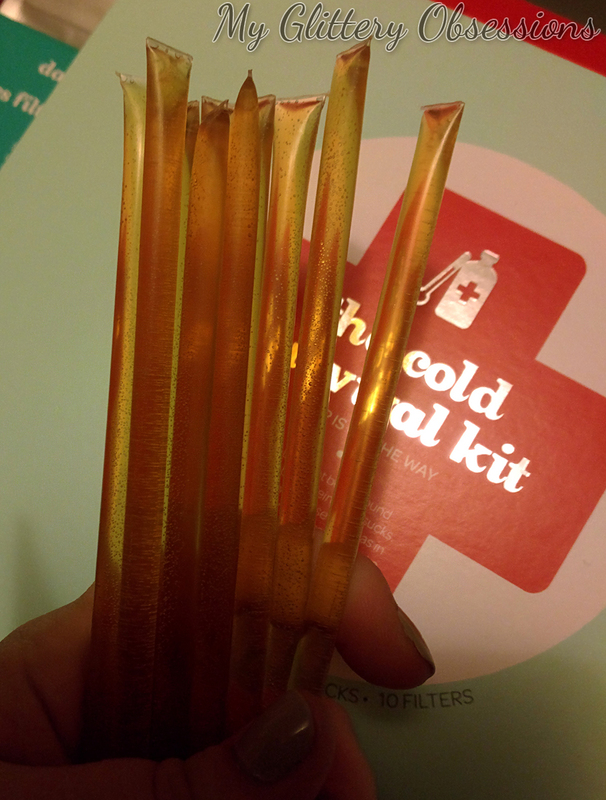 As well as a box of 10 honey sticks, which are great for taking honey on the go, or just slurping down for some quick throat relief! Also, did anyone else get these as a kid at the fair? The PNE still sells flavoured honey sticks, but the plain ones were so much better...! So as a bonus, these were like a little box of nostalgia for me! 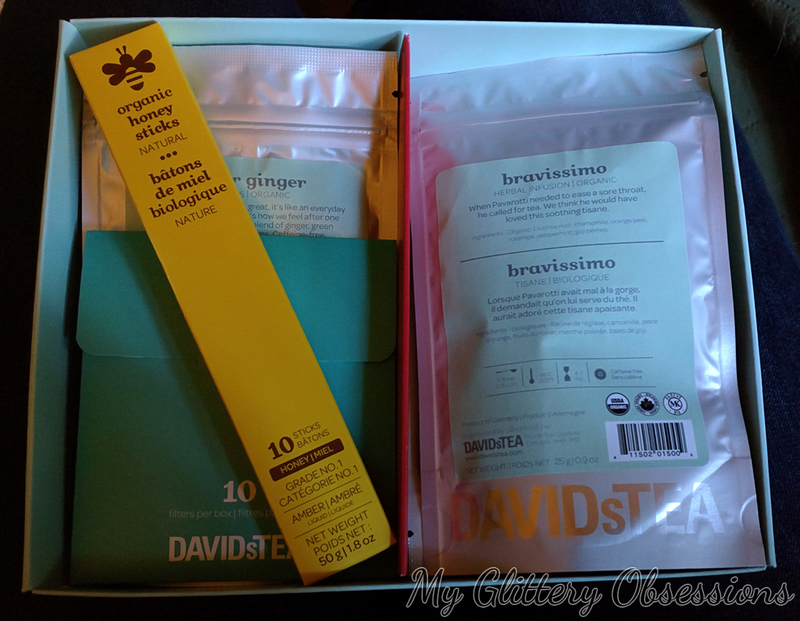 I really liked this tea! It contains peppermint, apple, juniper berries, and natural eucalyptus & orange flowers. I tried this one first because I was intrigued by the eucalyptus! If you don't know, that's basically the main scent in Vicks, so this seemed great... so long as it didn't taste terrible! And it doesn't! It's great, was very soothing, and not too overpowering or essential oil-y... it that makes an sense... would certainly repurchase this tea! I expected to hate this tea because I usually dislike ginger teas. It wasn't bad, however. 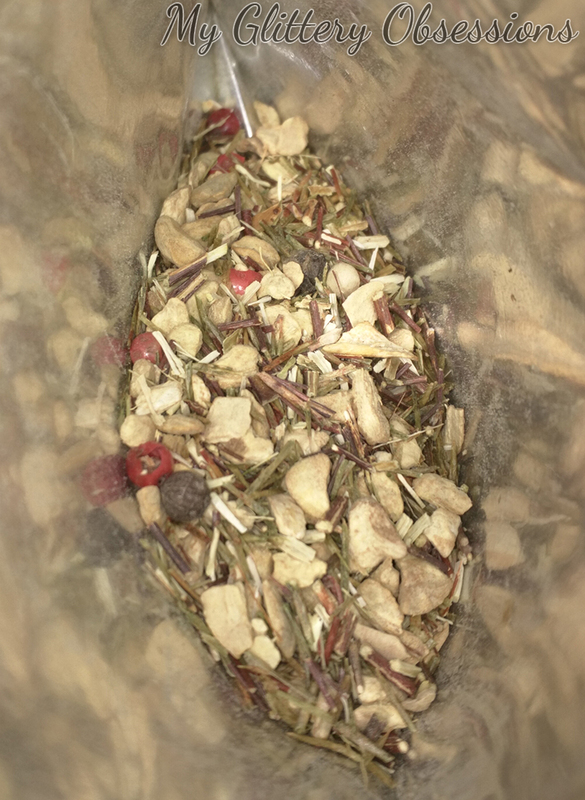 It is very simple, containing ginger root, green rooibos, black pepper, white pepper, pink peppercorn, and stevia. 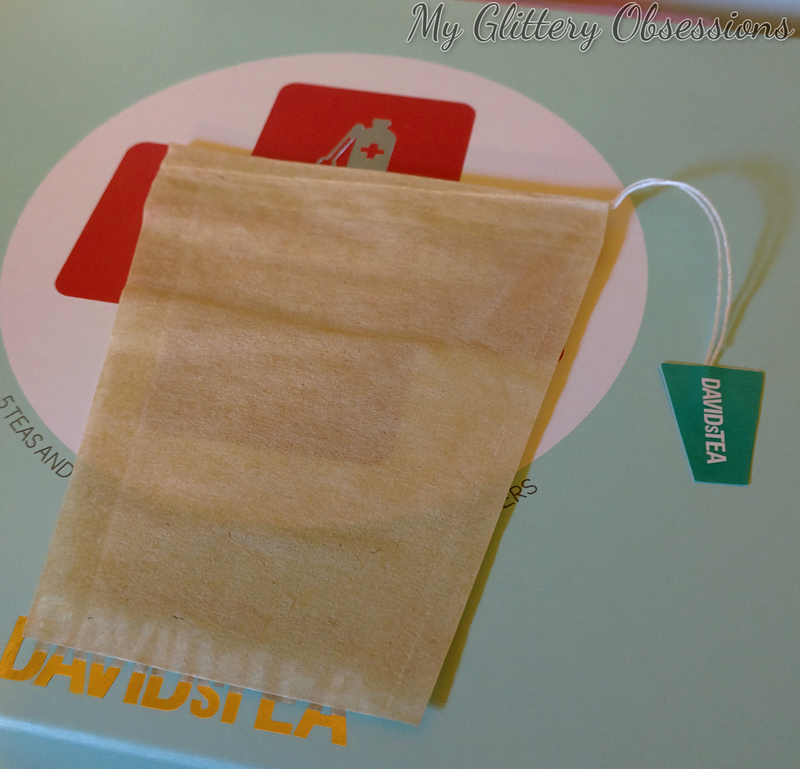 It was very mild and soothing at first, and if you stick to the 4-7 minute steeping guideline on the bag, this tea wouldn't be so intense... But I had about half my tea, and then left the bag in for 30 minutes while I ate dinner... Bad idea. You may or may not be able to imagine how bloody spicy this tea got steeping all that time! It did do my stuffy nose some good, though! 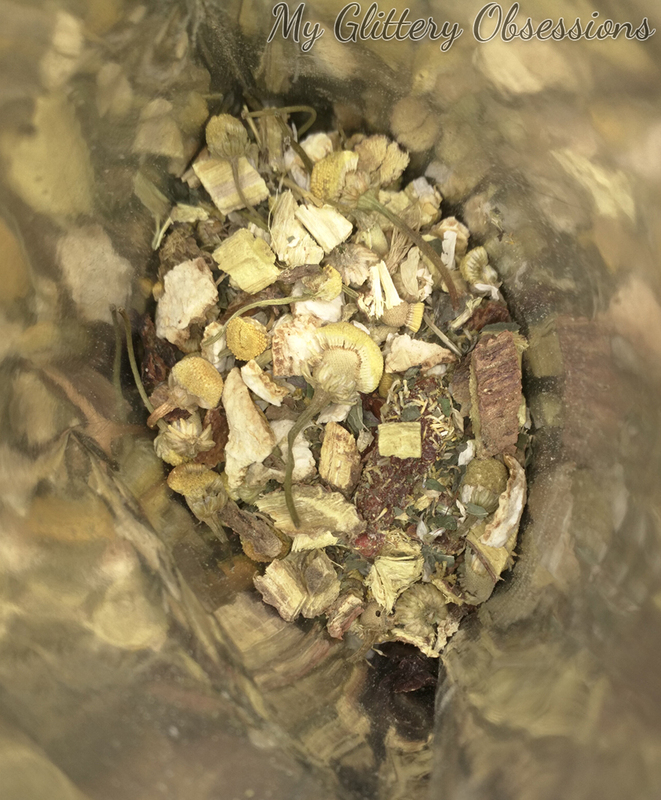 Contains licorice root, chamomile, orange peel, rosehips, peppermint, and goji berries. 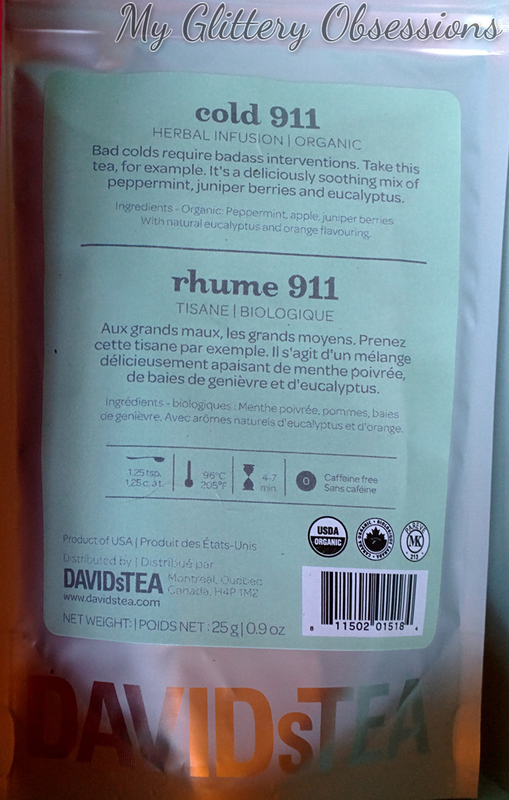 This tea is nice, slightly fruity and slightly naturally sweet (I think it's the licorice). I had had this tea before in other sets, and as a sample in store, so I knew I liked it already. 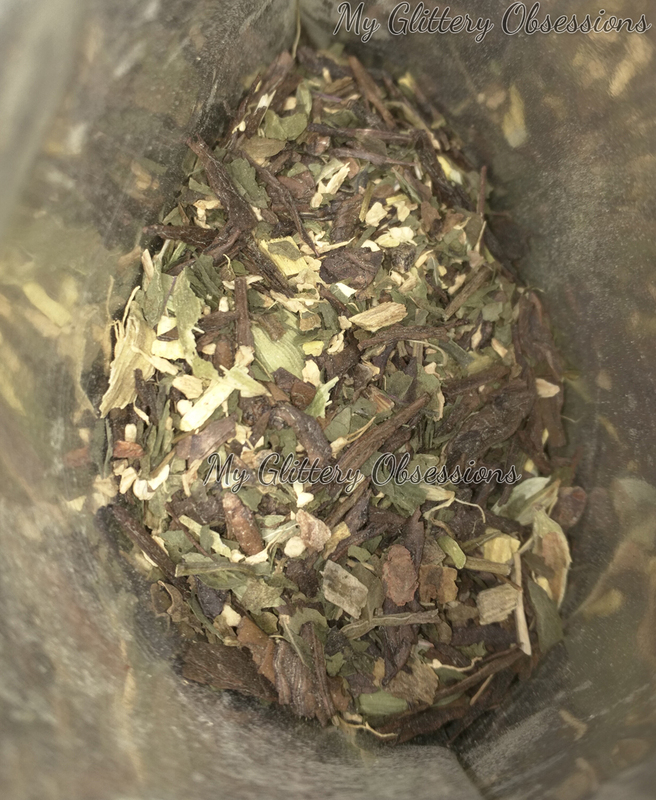 It contains green tea, ginger, peppermint, cardamom, licorice root, fennel, clove, and black pepper. 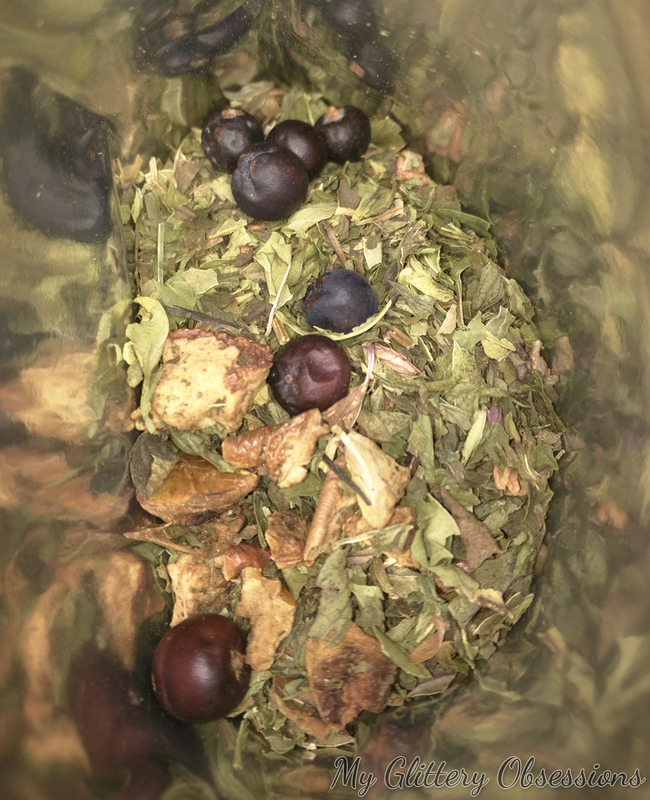 The result is a unique and slightly spicy mint tea, which is excellent for colds, sore throats, and upset stomachs! 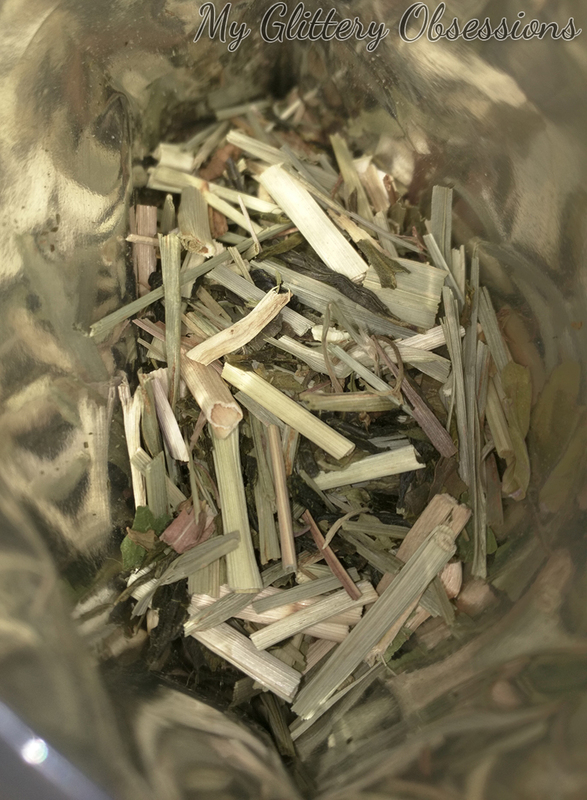 This tea contains: green tea, lemongrass, peppermint, orange pieces, eleuthero root, and echinacea. Eleuthero root (I had to Google this for you), is a type of ginseng, which is historically used in Chinese medicine. You probably already know this, but echinacea is also good for helping shorten colds, so this is clearly good for anyone with a cold! 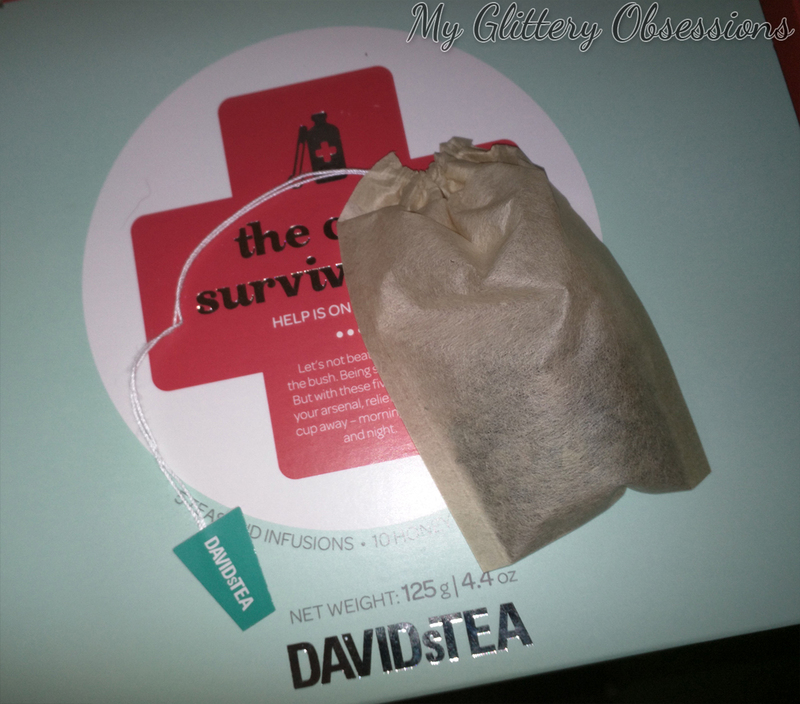 The flavour of this one reminds me a lot of the morning detox tea from Skinny Teatox I mentioned a while back. Nothing too intense, just quietly citrusy and quite calming. All the teas are organic and kosher, in case those things are important to you, as well!. All in all, I think this is a great kit to have on hand this fall and winter for any time you're sick or feel a cold coming on. 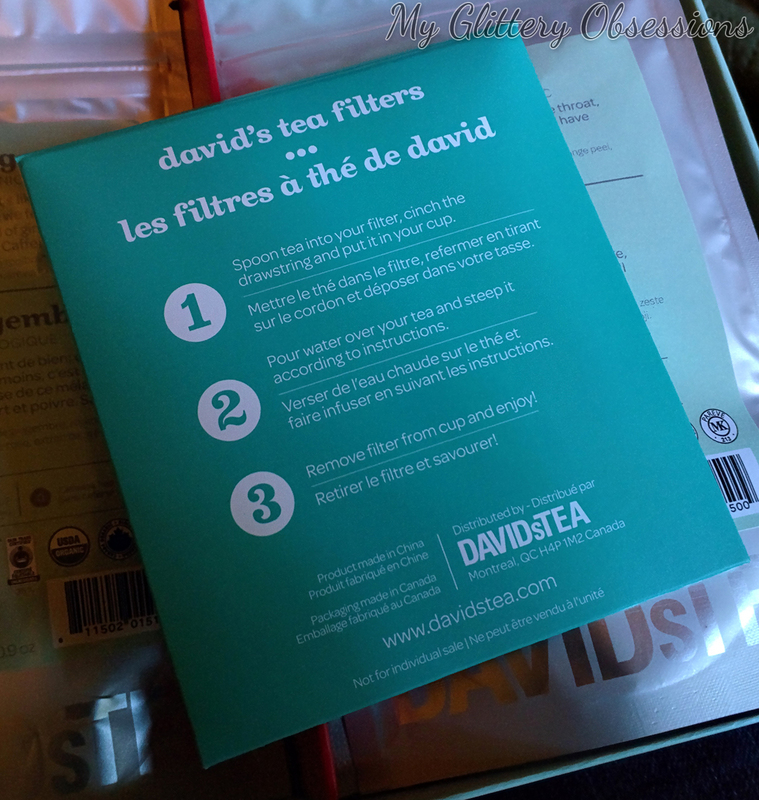 All the teas are pretty tasty even if you aren't ill, and the filters and honey sticks just make for great bonuses! If only one of these sounded like... your cup of tea... (Did you notice what I did there?) they are all available individually for $7.90 for 50g each, except the Cold Zing, which is $8.90 for 50g. Also, you can get the honey sticks in a box of 10 for $3.50, and a box of 20 filters for $5! This is mostly because you can't buy less than the box of 20 filter bags, and that is only $3.75 more... but hey! 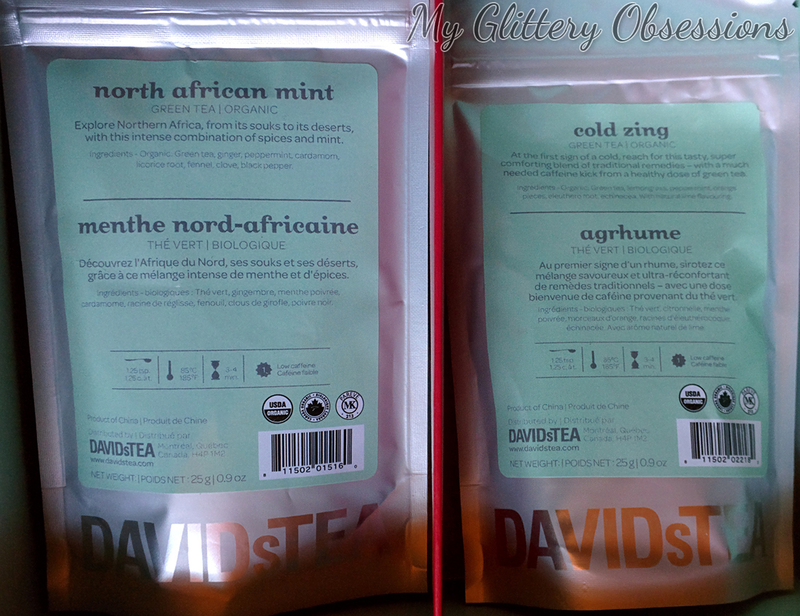 A discount is a discount, and this is a super convenient way to get a bunch of tasty, and beneficial teas! 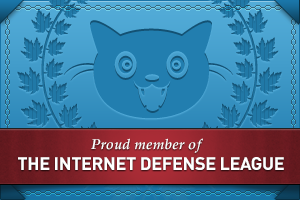 I would totally recommend it to anyone interested. TAG || The Behind the Scenes Tag!